Posted in: From There To Here.... Tagged: Akira Takasaki, Anthem, Dir En Grey, EZO, Flatbacker, Japanese metal, Lightning Strikes, Loudness, Minoru Niihara, Visual Kei, X Japan. I was recently asked to contribute to a book known as The Dig showcasing Japanese metal. I was initially approached by veteran journalist Takashi Kanazawa for an interview offering up one person’s western world view on Japanese bands, but he decided to take it up a level and asked me to compose an actual article. Published exclusively in Japan by Shinko Music, the issue came out at the end of June. The original English text is below. Die-hard Japanese metal fans may be put off by the fact that I only mention some of the most popular / best known bands. Note that if I’d been given the space the story would have been a lot longer, and I would have paid worthy attention to many of the Japanese bands that fly below international radar a lot of the time. Fact is that Loudness, Anthem, EZO and X Japan were the building blocks for my interest in the Japanese metal scene; this is a story about that. I am by no means an authority on Japanese metal, so take this as one fan’s tribute to that scene. 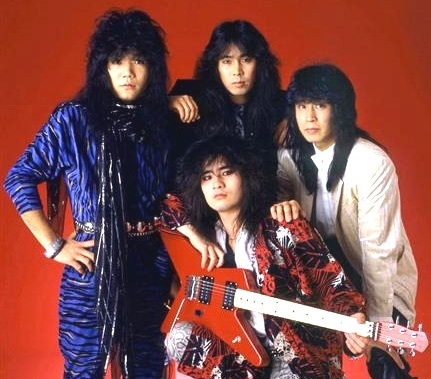 My love affair with Japanese heavy metal began as it did for the vast majority of western world metalheads: Loudness. It was 1986, and during an episode of the weekly Power Hour on MuchMusic (Canada’s answer to MTV) the band’s video for their new song ‘Let It Go’ was aired for the first time. I was immediately enthralled. Everything about the song was magic – the guitar riff, the vocals, the melodies, the solos – and I wanted more. The next day I bought the cassette version of the Lightning Strikes album from Sam The Record Man in downtown Toronto and, during the drive home, I was introduced to a band that captivates me to this day. Hell, it was because of ‘Let It Go’ that I decided I wanted to learn how to play guitar. After over 25 years of practice I can almost play the whole song. Almost. It was the purchase of Loudness’ Disillusion album several weeks later, however, that made me a Japanese metal addict for life. I found the vinyl LP at the Record Peddler import store, unaware the band’s label Music For Nations had pressed Japanese and English language versions of the record. I didn’t realize until I put it on at home that I’d picked up the Japanese version. It was the strangest and most amazing thing I’d ever heard. As a Canadian I come from one of the most culturally enriched countries in the world, yet the exposure I’d had to Japanese at that point in my life never prepared me for the metal blasting out of my stereo. Everything about it was unique to my ears, and so damn heavy. Even the ballad. I was amazed, and I must have played it 100 times in the first month. Posted in: On The Inside. Tagged: Blood Stain Child, Japanese metal, Season Of Ghosts, Sophia. 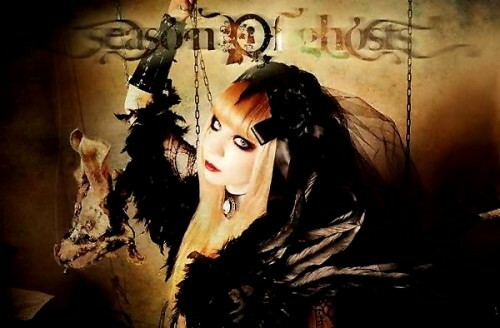 In July 2012, Japan’s Blood Stain Child and their Greek vocalist Sophia parted ways, citing musical and personal differences after only two years and one album together. Since then, neither Sophia nor her former bandmates have said very much about the split in the press, but during my interview for her new Season Of Ghosts project Sophia decided to reveal her reasons for jumping ship.